Field of study focused on improvement of manufacturing processes, techniques, or equipment in order to reduce costs, increase efficiency, enhance reliability, or to incorporate safety and anti-pollution measures. This LibGuide will provide you with basic information about Manufacturing Technology. Use the tabs to the left to get information on finding books, finding articles from magazines and journals, and locating recommended websites with useful information. Apps (little software applications) allow you to customize your tablet to do the things you like to do. Some of the apps listed are free, while others are fee-based (meaning you have to pay for them). Additionally, some apps are initially free, and then require in-app purchases if more features and functionality are desired. 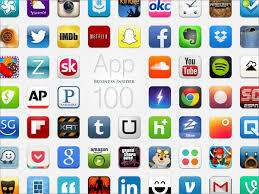 Listed, you will find some app recommendations we have come up with based on recommendations and reviews. CLTCC Library Services does not endorse any fee-based apps nor is it liable for reimbursement of any apps paid for by patrons. Industrial Engineering books are found in the T 55.4 - T 60.8 call number range. Mechanical Engineering books are in TJ and TL call number ranges. Manufacturing books are in the TS call number range. IIE Transactions publishes original high-quality papers on a wide range of topics of interest to industrial engineers who want to remain current with the state-of-the-art technologies. The aim of the JMP is to exchange current and future directions of manufacturing processes research, development and implementation, and to publish archival scholarly literature with a view to advancing state-of-the-art manufacturing processes and encouraging innovation for developing new and efficient processes.